Affiliate Member of the Realtors Association of Southern Kentucky. Member of the Builders Association of South Central Kentucky. Member of the Bowling Green Junior Women's Club. 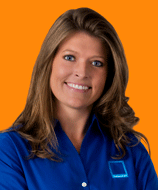 The Nationwide Insurance: Erin Faulkner in Bowling Green, KY provides the following products. To learn more about each insurance product, click on the links below. Erin Lanphear is an insurance agent who makes it a number one priority to do what's best for members. See what a difference having the right agent and a personalized insurance plan as well as the help of Nationwide makes when it comes to protecting the investment you've made in your wheels. Insurance needs vary by individual circumstances. For example, your needs may be different if this is your first time getting auto insurance, if you have a classic car, or if you're retired and don't drive your vehicle as much as you used to. At Erin Faulkner, we're familiar with working with various types of driving habits, vehicles, and special needs. We also go to every length to make sure our members have every discount to which they're entitled. Let us know what your ideal auto insurance protection plan looks like and we'll work with you to make it happen. See what a well-balanced combination of dedication and experience can do for your auto insurance protection. Whenever you're ready, call us at (270) 782-2799 or pay us a visit at our offices at 1025 US 31W Byp. Buying a new home in Bowling Green is a big step for anyone, and making this important decision requires thinking seriously about insurance needs. New homeowners should begin exploring their insurance coverage needs as soon as the property sale has been finalized; this is the best way to know that you are enjoying the full benefits of insurance protection. If you are unsure about the coverage needs of your new home, Erin Lanphear can help. 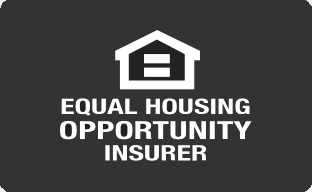 Here at Erin Faulkner, we help homeowners every day by providing personalized insurance solutions. We love helping homeowners access the great Nationwide insurance products that suit their lifestyle and individual needs. Your family and your property deserve the best, so we have teamed up with a company renowned for customer service, Nationwide. Nationwide agents and the Erin Faulkner team members are here to help. Call us today at (270) 782-2799 or visit our 1025 US 31W Byp location. When you’re ready to purchase life insurance, it helps if you start off by choosing a good life insurance agent in Bowling Green. Whether you already have a policy and are looking to update coverage for yourself or you’re ready to start a family and want to learn coverage options, you’ll need an agent that is as good as the insurer they represent. At Erin Faulkner, our agents work hard to provide customers with the service and coverage options they need to strengthen their families’ financial security and help them enjoy peace of mind. If you’re not sure how to get the coverage you need or are not sure if your current policy is enough, feel free to stop by 1025 US 31W Byp, Bowling Green, KY, 42101 to speak with Erin Lanphear. You can also contact them directly by dialing (270) 782-2799. As a business owner, you're often the last person to leave the office or jobsite at the end of the day, but dedication has no doubt always been a part of your work ethic. At Erin Faulkner in Bowling Green, we have a similar view. 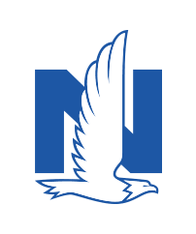 We're dedicated to providing outstanding insurance options that are customized to suit the needs of many different industries, and that's why we work with Nationwide. We can provide coverage that will help you protect and build your business so you have peace of mind. To learn more about commercial insurance, call Erin Lanphear at (270) 782-2799 or drop by our 1025 US 31W Byp office. You'll be amazed at the many options that are available for protecting the different aspects of your business. With the proper insurance coverage in place, you'll have one less thing to worry about when you finally leave work for the day. The Erin Faulkner also offers products in OH, TN, KY. Please call for information on products in those states. Randy Faulkner started The Faulkner Agency in 1986 and now his daughter Erin Faulkner is continuing the work in the agency. We are committed to serving our members through community involvement and superior customer service. We are dedicated to offering our customers superior customer service through our On Your Side Reviews. Our agency offers a full line of insurance products - home, auto, life, commercial and farm insurance.